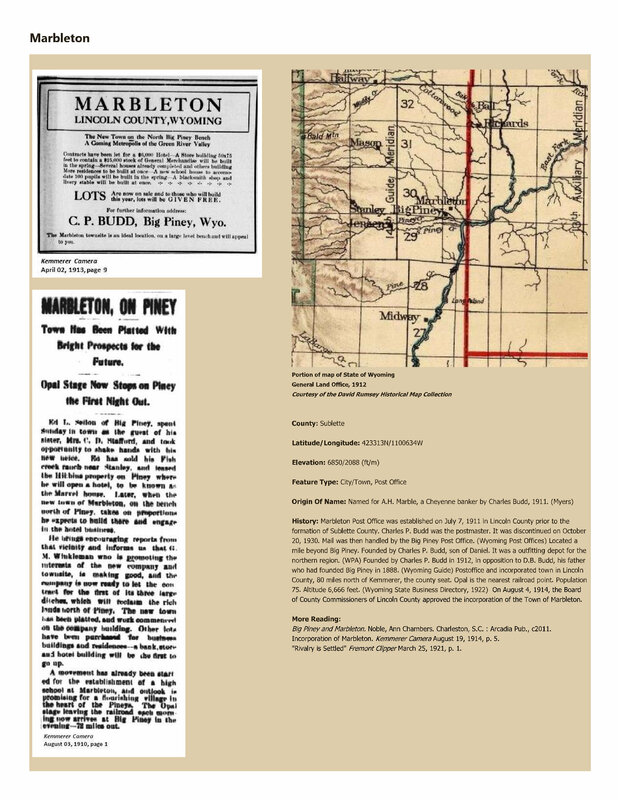 Topic: Big Piney and Marbleton. Noble, Ann Chambers. Charleston, S.C. : Arcadia Pub., c2011. ; Incorporation of Marbleton. Kemmerer Camera August 19, 1914, p. 5.; "Rivalry is Settled" Fremont Clipper March 25, 1921, p. 1.